Cloud Computing Open Standards and Interfaces promises more flexibility in the cloud. The article explains the benefits of open standards and interfaces. Three articles are quite related to the current topic, Cloud Computing Open Standards and Interfaces; these are – Cloud Computing, Open Source and Developers, Cloud Computing Security Means Opting For Open Source and Open Source Private Cloud Softwares Are Opening More Opportunities. However, this article on Cloud Computing Open Standards and Interfaces can be read as standalone article. Cloud computing promises a number of advantages, it allows the virtualized infrastructure to be purchased, be it raw computing power or storage; everything on demand. Additional capacity at peak times can be increased and at a reduced load time can be made back again. An important feature is the rapid and flexible provisioning of resources. Known representatives of public cloud are Salesforce.com, Amazon Elastic Compute Cloud (EC2) and Simple Storage Service (S3) and Rackspace Cloud. When internal private cloud computing resource is no longer sufficient, to keep the performance of the internal cloud, it would be desirable to use additional public cloud resources. Here, however, it hooks a little : Cloud computing is an emerging technology and therefore have as yet no generally accepted standards that is actually widely accepted in practical field. Many proprietary technology suppliers follow their own ideas, Companies which uses such proprietary cloud platform, basically delivered the ideas of Cloud as a consumer product for enforcing vendor lock-in or to sell their other products. Over the last two or one year the things has been changed dramatically. What mainly matters from the user perspective and also from a developers point of view, is the missing coordination of several cloud platforms. Here lies the importance of thinking about Cloud Computing Open Standards and Interfaces. 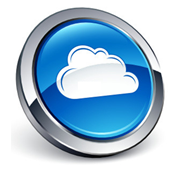 Cloud computing represents a fundamental change in the use of computing and storage resources. The previously hardwired connections between proprietary software components and users of these components has been replaced with compact web services and web-based software. As a promising recipe to move forward, the definition of standards and guidelines by independent institutions and mixed manufacturer-user committees has been raised up. Standards serve as input, to implement certain interfaces. The manufacturers of hardware need to keep network components and software according to the guidelines, the companies are also willing to accept the offer because they benefit from it. When it comes to the standardization activities in the field of virtualization and cloud computing, three initiatives play an important role : the Open Virtualization Alliance (OVA), the Open Cloud Initiative (OCI) and the Open Data Center Alliance (ODA). Especially in the areas of infrastructure-as-a-Service (IaaS) provider and public clouds is directly related to virtualization. OVA promoting the Kernel-based Virtual Machine (KVM) hypervisor technology as an open alternative to proprietary virtualization solutions. The Open Cloud Initiative is the open standard for cloud computing to achieve more interoperability. OCI has clear ideas to open standards : documents needs to be detailed, published and accessible and functional. This Article Has Been Shared 3018 Times! Cite this article as: Abhishek Ghosh, "Cloud Computing Open Standards and Interfaces," in The Customize Windows, December 21, 2012, April 20, 2019, https://thecustomizewindows.com/2012/12/cloud-computing-open-standards-and-interfaces/.